A poll commissioned by conservative non-profit group Let Freedom Ring, Inc. and obtained by PoliticsPA shows President Obama leading Mitt Romney 47 percent to 45. 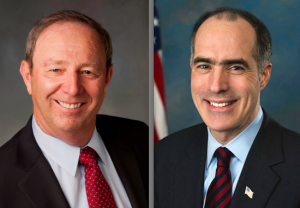 Sen. Bob Casey leads Tom Smith 44 percent to 41. The survey of 1,000 likely Pa. voters was conducted by Pulse Opinion Strategies on Oct. 8 via automated dials. The margin of error is plus or minus 3 percent. Obama holds a positive job approval rating, 51 percent to 48. His personal favorability is nearly identical, 50 percent to 48. 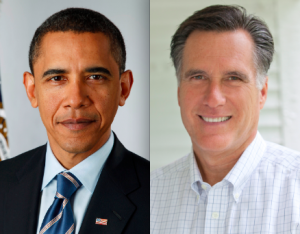 Romney’s personal approval rating is split, 48 percent favorable and 48 unfavorable. Obama wins women 49 percent to 43. Romney wins men 47 percent to 44. They split independent/other 36 percent each. Casey leads women 48 percent to 40. Smith leads men 43 percent to 38. Smith leads among independent/other voters 36 percent to 28. Pulse is a subsidiary of Rasmussen Reports; it does the nitty gritty of conducting and processing their polls. So, for all intents and purposes, this can be looked at through the same lens as Rasmussen numbers. That means that its sample includes only households with landlines, not cell phones – something that critics contend can skew polls because they underrepresent younger voters, who tend to lean Democratic. Update: see the bottom of this story for Pulse’s explanation of how it avoids anti-cell bias. Rasmussen released a poll Wednesday, conducted Oct. 9, that showed a much healthier 51 percent to 46 percent margin for Obama in Pa.
All internal polls should be taken with a grain of salt. However, unlike most organizations or candidates that commission polls, Let Freedom Ring shared the survey’s crosstabs and poll questions with PoliticsPA. The survey’s sample includes 53 percent women, 47 percent men. 45 percent of respondents identified as Democrats, 39 percent as Republicans and 15 percent other. 77 percent of respondents said they watched the debate. 66 percent of those said Romney won. Obama leads self-described moderates 55 percent to 31. Smith leads voters 65 and older by double digits, 52 percent to 41. Casey has a wide lead among self-described moderates, 51 percent to 25. The survey was conducted using an established automated polling methodology. For 90% of the sample calls were placed to randomly-selected phone numbers through a process that insures appropriate geographic representation. 10% of the sample was conducted via online surveys of those individuals who use a cell-phone as their primary telephone. After the calls and on-line surveys are completed, the raw data is processed through a weighting program to insure that the sample reflects the overall population in terms of age, race, gender, political party, and other factors. The processing step is required because different segments of the population answer the phone in different ways. For example, women answer the phone more than men, older people are home more and answer more than younger people, and rural residents typically answer the phone more frequently than urban residents. Its time for the rhetoric to shift from: this program or that… to: can we afford anything anymore? Our country is in a fiscal mess. We borrow money from China, constantly raise our debt ceiling, and are 16 trillion in debt. Yet if you visit senatorcaseyrecord.com you will see that Casey cares nothing about these issues. He consistently votes for more spending, and against any cuts. Its time we clean out Washington from these big spenders! It it were really as close as some of these polls imply, both the Presidential candidates would be advertising heavily here. Unless that happens, these polls can’t be taken very seriously.